Do you work for Office? Learning about Microsoft Office? We can help. "office is my ideal package." Microsoft Office has many applications that I like, it is a very complete package that contains everything I need, to do my job as a teacher, what I like most is that with a single installation and a single payment I get 16 applications, they are very easy to use, you do not need internet to access them, and the best I can save in the cloud thanks to one drive. that software is good for me, I use it almost daily, the only limitation I see is that some applications do not have a tutorial or guide to the user, and this means that they do not know how to handle it so easily, besides this package is only compatible with windows. I recommend this application because it is great, it has worked very well for me, it has become my partner, it helps me with all my work, I like its price and all the functions it gives me. my office package has worked a lot, almost all my work I do with each of these applications, excel helps me keep track of my notes thanks to their tables, I can insert mathematical formulas in them and make the work easier, power point helps me make the best presentations to give my classes, with publisher I create the certificates for my students, as well as diplomas and my business cards, without a doubt that Microsoft Office has given me many benefits in my work, and in my practice educational. Microsoft Office is a tool that is a tool everyone who has a business should consider using. All applications are together in one portfolio and it's easy to access through any device. I have the options to access documents and edit them anywhere I go at any time. I can easy see where I have the applications installed and unpair a device. There's not much to say other than go for it. Make sure that you can handle the updates in your organisation. It can be a bit annoying when people are working on different versions and something isn't working due to the difference. We have a platform that we can use for all kind of documents etc. We always have good option to corporate throughout our organization and with clients. My work has been simplified throughout the years and Office is definitely heading in the right direction. "All the programs of the Microsoft family are an excellent tool for the office"
Microsoft office seems that it was a program more than the mound, but it is not so in every office is essential to use this program, you can actually start using it from school, since it came to the market you can say that I have used this program, since presentations for exhibitions and jobs for school, right now in my adult life I use OFFICE for almost everything since it has word, excel, powerpoint, onenote, skype. Each of these sub programs I use in my day to day in the office besides that if you have an old email from HOTMAIL U OUTLOOK you can access all those programs from any device and also save in the clouds with onedrive. I honestly do not think there is a person who has not used a MICROSOFT family program, but if so, I recommend each of its programs because they are quite complete and easy to use, in addition to having an endless use. For years MICROSOFT OFFICE has been helpful in college then university and later in my position as manager, I have used WORD to carry out work, essays, letters, work proposals and endless documents, EXCEL is the ideal to know the management of the company accounts, POWERPOINT is the best for the meetings because in the presentations, ONENOTE is my agenda to be done and in turn my place where I put my ideas and SKYPE is excelnte to make video conference from the office , just highlight that you can do all this from anywhere and any device. "Microsoft Office is a standard for almost everyone"
I have been using Microsoft Excel, Word and PowerPoint for more than 10 years. I can not imagine my life without these essential pieces of software. Especially use Excel and PowerPoint daily with my work. Almost any office work you request will require or recommend that you know them. Excel is one of the most useful tools for so many different tasks. I use it almost as a project management software to track the progress of our construction work and the records that all subcontractors have sent. It's amazing what you can do with Excel if you learn to use all the formulas and functions built into it. Excel is practically a standard for other software to allow integration. I used to give many presentations at the university and in my advertising career. PowerPoint is very simple to learn and use for this. The ability to copy, paste, adjust and resize images is a simple and easy process within the program. I have also created some pretty intense animations in my slides. Once you learn how animations work, you can essentially animate your presentation. I am using Microsoft Word right now by writing this revision. I'm not sure how anyone can go without using the word in their life. I do not know anything that comes close to the Word equivalent. This is one of the most basic and fundamental programs that everyone should know in life. It's hard to say anything wrong with Microsoft Office. The only improvements that would be good to see are the price and a more advanced grammar system within Word. You can not really go without the Microsoft office and it would be good to see that the price has gone down and that everyone can have it on their personal and professional computers. A more advanced grammar system in Word to be useful. It could be a feature that you could activate and deactivate. I use Grammarly and I would stop using it if Word had something equivalent built-in. I do not need to recommend Office, with its fame and every professional should be aware of its quality. It is software that is easy to handle and helps teamwork flow more quickly and efficiently. "Most effective administrative management tool for the optimization of work processes"
Excellent tool for the realization of any administrative activity of any organization, it offers a series of tools capable of carrying out any work activity regardless of its nature, thanks to Microsoft Oficce you can carry out a work management in an impeccable manner and full of professionalism Personally, I enjoy much what is offered by Microsoft Outlook which offers us excellent services of corporate emails, this helps us to always communicate with instant messaging within the different departments of the organization, your desktop application is quite good for not have to log in through the website. Microsoft Publisher helps us design brochures for the distribution of personnel within our organization, its variety of templates allows the easier and easier creation of newsletters or information brochures. Word one of the most used of the package, thanks to its variety of features and functions that allows you to process large texts configured and personalized the way you want, thanks to it you can make any text you want and provide designs of letters, font sizes , color, configurations of indentations, bullets, sheet for the configuration, everything you want you can generate it with Microsoft Word. One of the most used administrative and accounting programs in the world is Microsoft Excel, it allows to elaborate all kinds of work which are involved amount of numerical data, being administrative, accounting, statistical, you can take it easily and simplifying your final results , since this tool allows you to configure each work cell depending on what you need (addition, subtraction, multiplication, division, percentages, statistics, coins, fractions) and any mathematical operation that you wish you can carry out with this tool. It is also very useful to make dynamic tables and add work statistics linked directly with Power Point for the presentation of the same through their slides. Undoubtedly the most complete administrative tool. I have no complaints to make regarding the Microsoft Package, most of my administrative work is carried out thanks to it, its operation is impeccable, its working characteristics are excellent, they allow me to work according to the requirements that I want in the current moment. Help with my work management. Integration between teams and departments. Lo mejor de Microsoft Office es que es un estándar a día de hoy, todas las empresas lo usan y casi todos los usuarios. Esto es una ventaja, ya que la mayoría de trabajadores nuevos ya tienen experiencia con el producto, por lo que no se pierde tiempo enseñando. La relación calidad precio podría ser mejor, ya que ha día de hoy hay muchas suites open source, es decir, gratuitas, que tienen casi todas las funcionalidades que ofrece Microsoft Office. Si mantenemos Office en la empresa es básicamente por lo expuesto anteriormente, el hecho de que es un estándar. Gran producto con la confianza que da una gran marca. Es un estándar en su sector, así que muy recomendable tenerlo en cualquier empresa. La mejor herramienta, a mi juicio, es Excel, que da un gran desempeño a nivel de estadística y dibujado de datos. Principalmente, lo usamos para escribir documentos internos en Word, contabilidad muy básica con Excel, además de hacer tratamientos númericos y estadísticos con Excel también. En este sentido Microsoft Excel es una herramienta muy potente. "Everyone who wants to do well in your company has to have this incredible tool "
This incredible tool is undoubtedly the most complete to perform most of your work in your office, with this you can certainly achieve great results, and this tool has an amazing programs which are: Microsoft Word, Microsoft Excel, PowerPoint, Microsoft Outlook among many other programs that make the work of your office much more enjoyable than using others. If we talk about Microsoft Word is a tool used in offices to create any type of text, and thanks to this tool many companies have solved their problems. As for excel this is an incredible program that helps you a lot with your statistics and helps you solve any mathematical problem that comes your way. When we talk about PowerPoint we talk about the best known tool in this package by almost all people because thanks to this tool many people can make their slides so that their presentations are the best. "Microsoft Office the best tool that has helped offices and businesses "
Microsoft Office over the years has been the tool that has dabbled in all companies and all offices is a good tool that allows you to perform your work in a very comfortable, has many tools such as: Microsft word , PowerPoint, Microsoft Excel among many other programs. When we talk about Microsoft Word we talk about one of the most used tools in the market by companies as people for their texts. One of the great advantages of this incredible software is that you can send your documents to PDF so you can avoid Modify other people. With Microsoft excel you have an advantage of easily processing numerical data in general is very good and if you have problems with your personal database helps you keep it updated. recommended 100% since as this office system there is no other, for its ease of use, for being an indispensable tool, for having online support 24 hours since it is very easy to learn apart they implemented the online version of it, you only start session with your mail hotmail and ready. I have resolved that my clients simplify the graphics and numbers in Excel 2013, since it has an advanced analysis system that allows the user to enter the data that is reflected from the first moment in which he begins to write, until it ends, without However some users do not get used to newer versions, but I recommend it in complete safety. "Microsoft Office Very collaborative work management software "
Microsoft Office is without a doubt the most complete tool for the management of work in an office, without a doubt it offers excellent tools that allow to realize activity in a very pleasant way. Among its features, Word is one of the most used work tools to process some type of text or writing, with the help of this magnificent tool we can send communications and information quickly and very accurately, one of its advantages is the export to PDF to avoid being edited by third parties. Microsoft Excel the ideal tool to process large numerical data directly, thanks to the amount of formula it offers to solve any mathematical or algebraic problem, combined in a personal way, it helps me to keep updated my database of the personnel where I work. Microsoft Power Point, the best-known tool in the Office suite, this tool allows you to create presentations loaded with a lot of personality with its number of default templates and options to add images, videos, audios, forms, screen captures, which allows you to capture the attention of those present when presenting your slides. Microsoft Outlook helps us stay connected through your emails, it is used every day to process any mail from our corporation. Personally I have nothing negative to add for Microsoft Office, without a doubt they are the most used tools for my daily work management, they allow me to work comfortably and come loaded with a lot of professionalism. It is very satisfying to be able to count on this tool package, without a doubt it allows us to carry out the work more quickly and with great efficiency, with all its characteristics contributed, we have obtained better performance in the work indicators and it helps us professionally. Office is the suite we all use, hard to find someone who doesn't know the suite mentioned above. This means that it is a well optimized product, in continuous development, very well tested and thought about when it comes to text documents or worksheets. I love the ease of use, support and the many features it offers. I recommend to all the use of the office suite for its simplicity, ease of use, for the easy and intuitive user interface and for the many features it has. It is also available on mobile devices, on the cloud and wherever you need it! The cost is not low for many licenses, but it will certainly be worth it. Office makes it easy to draft documents, create presentations and spreadsheets. Thanks to this suite we can create all the documents and models we need, export them online and always have them at hand! Moreover its ecosystem allows to have office also on mobile devices! I have been using microsoft office with my current position for years now. We are constantly using word or excel for different things in our office and I would not want to use anything else. While the online alternatives are nice, it is much better using the actual programs because it is easy to use all of the features. Something that I wish was better would be the ability to convert excel documents onto online platforms, such as google drive. I notice I have to actually download an excel sheet from google drive to actually edit and modify things, rather than being able to go back and forth between the online and actual version. I cannot really recommend anything because it is just that great of a program. It has been around for years and I cannot imagine using anything else. We are solving our ability to keep tracking of important information. For example, I am able to track data through using excel and managing different sheets to ensure we can view changes and trends by days, weeks, or months. In addition, this is a program that can be used on different types of computer systems. I can easily use this program on a Mac computer, as well as easily going to a windows platform without worrying about something being different, not working, and other things of that nature. I had used many other similar products like Microsoft office but the best i came across till now was the Microsoft office.In other similar products used by me included Apache open office, Libre office which are open source as they do not require any license, while with Microsoft office you need to have licence purchased to get access of all the advance features provided by Microsoft. Also Microsoft office has the best support for the users and is very safe for the user privacy.Microsoft office is used very commonly across the globe as it provides he one -stop package of excel, Word , PowerPoint ,Notes to get your documents ready in professional manner instantly.It is very easy to prepare the reports of project and many much documents in Microsoft word and also gives very flexibility to carry out presentations very effectively using PowerPoint anywhere instantly.Also it is very easy to view your documents and modify anywhere as Microsoft office is one of the most widely used product in the world so it is very easily available.Almost most of the organizations prefer Microsoft office over other products. The only drawback of Microsoft office is that the layout of the files in the Microsoft office may change if viewed in another product sometimes and also according to me it should be somewhat less expensive. As its very clearly known that it is the best product for your documents and also it is the best choice for the professionals, I too recommend it after using many other products. Mostly we get our project documents ready using word and also the presentations are carried out using Microsoft office PowerPoint. "Microsoft helped me to be successful in my college career "
"Office is a one stop shop for document management "
The autosave feature needs to be AUTOMATICALLY SELECTED! Microsoft read this. The only time I look for this feature is when I lose a document and then I find out that its off by default. That makes no sense. Even if you turn it on and use moderate settings such as saving every 15 minutes, at least we have something to work with. We use Microsoft Office to create Power Point presentations, Project plans, excel worksheets, and many other things. "Everything you need for your Office, you will find it with Microsoft Office"
I have many positive things to say about Microsoft Office. One of them and the most important for me in the Personal, Labor and Professional is the number of incredible programs with what Microsoft has, and its versatile functions that it has in everything for people who use Microsoft Office. As a Metallurgical Engineer, in my working area I mostly use Microsoft Word, PowerPoint, and Excel and I have never used Programs as easy as they are. They have their Online Version, that if in some case you do not have or not Accounts with the Program installed in your Computer you can do your Works from the Online Version that you only have to have an Outlook account and with Internet Connection. It is very useful for small and large companies since all its functions cover the needs of a company. Since I use these Microsoft Office Programs my life and my work have changed a lot and for Good, since with these they facilitated many things to me. These Programs show the best results when used in a commercial industry. It brings many benefits and solves big problems at the Industrial level, I always recommend it. "Best Program from the group of Microsoft!" The best thing that I really like in the Microsoft Office is the way that is easy to use the program. The template is very clean and simply, you can learn how to use all of the tools in the program in just a few days. The Microsoft Office resources are good, but when using local applications like Microsoft Outlook the system is not so good, with a delay that can reach a few minutes. Also the e-mails are not so critical since it does not lose any informations because of this delay. I recommend the Microsoft Office strongly for all the consumers and employees that have in their objective use simple tools with a great productivite inside their enterprise. Other thing that I recommend is the way that is easy to develop inside tha all programs of Office (Excel, Word, Access, PowerPoint,...). "Microsoft Office great for mobility, efficiencey and security"
Outlook is not the best on my mobile device. I have been using Outlook for many years on my desktop and love it. I can do many things with it, but on my mobile device it's just not as efficient and you can't always find your emails in a timely manner or at all. I have used Microsoft for many years and always find their Microsoft stores great, their assure programs are great for training and tech support. I also feel their price points provide value and the Office 365 products are fabulous for renewing and adding additional users. Being able to be mobile and work from my office has been a very real benefit for this writer, speaker, and consultant. Not having to always go back to the office or my desktop has been fabulous. I have saved time, money, and my reputation being able to utiilize Office when at a conference, or speaking engagement. "The daily life best app for every business or office user." I can save my marketing database easily. Very easy to use and no bugs.MS word slides now very food. I can upload all data online also share my client team as well. awesome functionality and use to use.New version update search option which is very useful.Microsoft Office file or convert it to a Google doc easily.Easy to store all data online and share also secure. The power point I can design accurate and very easy away. I am using my desktop, mobile, tab and all platform working fine also the same feature looks like.Especially I am using excel daily. I am a freelancer and excel file I can save my all marketing database or easily create a CSV file to upload the product. There is a lot's of short cut I can use and my job will be done faster. It's really very full for my business. All of the applications included in Microsoft Office are easy to install and work with. 1 license get 10+ applications!. There is a lot's of alternative software found online but not looks like as a Microsoft office tool feature. I am using this software past 7 years + and very happy to work with. sometimes it hangs and sometimes CSV file data mixed automatically. Customer support not good. they must be taken care of it.also store buys option bit confusing. Definitely yes Recommendations to others considering Microsoft Office. Just solve the above problem which I mention.improve the customer service please.it's very important. "Everything you need, in a single package." I have never before found so much Gold together with the one I found with the Microsoft Office package. During the years that I have using these fantastic programs. It has everything you need in a single package. These programs of the Microsoft Office package have accompanied me throughout my academic training. As an Engineer, in my work area I perform a great amount of work which drives to continue using these Programs. 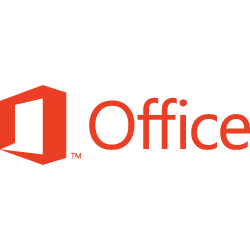 They are very easy to use programs, you do not need a previous training to be able to use them, another of the things that I love with Microsoft Office is that your documents will always be safe because it allows you to save them online through the Cloud. Each of these Programs has its Online Version, You can open them from any Geographical location and from any device. You just have to have an Internet connection. I have no negative comments to add About the Microsoft Programs, they are quite useful and complete, during the time I have been using them I have not been presented with any type of inconvenience to make negative comments. "The most used product in our company"
What I like the most about Microsoft office is how complete of a product it is. Microsoft Excel, Word and Powerpoint have become the most used tools in our company. Microsoft word is such a complete text editor; all of the options are comfortably located, which makes using it a truly easy process, same with powerpoint. With Microsoft excel I can truly say that it is probably the best software I have used, it comes with so many pre-programed functions (such as if, count if, sum if among others) that you can automate whatever type of calculations you need to perform on a regular basis, and if that wasn’t enough the ability to create your own functions and macros using visual basic makes this the most customizable software for calculations available, plus the use of dynamic tables and graphics allow for summarizing large amounts of data at ease. Microsoft Project is also a crucial tool for our business since we use it to plan all of our projects, from beginning to the end, and it allows for allocating resources and personnel to every small activity required. There is nothing about Microsoft office that I dislike, there are so many reasons to why it is the industry standard. The only thing I can recommend about Microsoft office is for you to purchase it. This software is guaranteed to make your life easier, it is no wonder why it is the industry standard. As I have mentioned we use Microsoft word as our go to text editor and for document creation and editing, while powerpoint is our main tool for creating presentations for the oil industry and most of the times we also use Microsoft visio to support our presentations via flow diagram designs. Microsoft project helps us to plan every project we develop in our company. However the most useful tool for us has been Microsoft excel, since it allows us to organize our personnel data, perform our mechanical, civil and electrical calculations, automatize processes of our business. Office has been probably the most beneficial product we have ever used. "Microsoft has helped me for a long time with your package, very complete "
this package has all the office programs I need, I have nothing that I dislike, only it can not be downloaded on any computer, it is only compatible with windows, the rest is program for me has been excellent. I recommend it because with a single purchase you can buy many applications, which are very easy to work and do not need internet to work. In my work as a teacher it has been very useful, because every day I use one note, excel to keep the record of my students' notes, power point to present my classes, one drive to save all my documents, and so each application has been indispensable in my daily work. "La Seguridad de Microsoft en la oficina"
- Aplicaciones de Alto Valor Productivo: son programas muy completos que permiten realizar todo tipo de requerimientos de una oficina. - Integración en línea: se puede trabajar desde múltiples dispositivos con el uso de OneDrive fos business. Pocas cosa se pueden decir que sean negativas en la Suite Microsoft Office. Pero pondría el único punto negativo en el precio del producto para su uso personal, individual o familiar. En algunos casos podría bajar el precio para ser más competitivo ya que hay una gran variedad de Software Ofimático, e incluso algunas alternativas totalmente gratuitas. Software Ofimático imprescindible para toda empresa que desee un producto de alto valor productivo y una opción muy interesante a nivel individual para uso doméstico. "Accessibility is the biggest asset of Office for the user." I Recommend to optimize the efficiency and productivity of the organization due to the control and ease of management allowing any person with access to share information from any place or device. For me, I use Excel quite a bit. I switch off between Google Sheets and excel sometimes there are things where Google Sheets is better such as when I need to use certain scripting (google apps script) for automation. Other times Excel macros are much better. The best feature about Microsoft office is the customized ribbon and integration of one drive. It is a complete software for any organization to perform daily office tasks. This is one of the best software for documentation. It makes the documents in such a way that it highlights the productiveness of an employee. Any employee who has a presentation to be given, then he or she can choose templates which gives the presentation a great look while presenting. One drive allows user to store data on cloud so that one cannot loose data and easily get data back. There is only one thing which is not likable and that is it comes with restricted features. We have to buy license which is not everyone's cup of tea. Some of the products within the package does not have very user friendly. Microsoft Office has a class in itself. If any organization wants to have a taste of its class then one must try this software. We use complete package of Microsoft Office. Word is used for writing documents for office work. Training are proved by making presentation with beautiful themes. Emails are managed efficiently by Microsoft outlook. This is the best tool for email as we can manage multiple email accounts. "Office Professional 2016 is smooth to the last drop"
The ease of transition from Office Pro 2013 to 2016 and the added features that don't require a learning curve. Implementation of Microsoft Office was straight forward and was very very easy. All user are getting at least 50% functionality out of the product with the other 50 % using the full range of Office with the except of Outlook which will be fully implemented at the end of April 2019 when we move to an exchange server. As Information Technology Director I will be implementing Access for ticket Monitoring and to track progress of completed tickets and projects. Power Point is another wonderful Tool used to present various projects to clients The over all performance of Microsoft Office will keep it fdriving the Market for Years to come and have the competition eating its dust as well. "Still the best office suite out there"
The application is a lot more robust with larger documents. I write a lot of training manuals and in older versions, this would simply crash Word. It would not autosave and when you did save, it would take forever to save and sometimes crash. When it crashed, it wouldn't save. Thankfully that seems to be a thing of the past and this could be to do with the application upgrades and patches, or the newer laptop. Either way, very happy! I like the ribbon layout, and although it's not always easy to find the option you are looking for, but that's not a bad thing. Another great addition is that they have the option to reduce the size of the gaps between icons. If you are not going to tap icons with your finger and you want to use the mouse, then select the mouse option for optimizing the space. This will make everything move closer together. Very handy for those working on smaller screens as you get more of your windows back for the document you are working on, rather than the ribbon. A feature I have only used once but found extremely handy was the ability to edit PDF's. A feature I have only used once but found extremely handy was the ability to edit PDF's. A feature I have only used once but found extremely handy was the ability to edit PDF's. A feature I have only used once but found extremely handy was the ability to edit PDF's. A feature I have only used once but found extremely handy was the ability to edit PDF's. I only used it once but saved me a lot of hassle back then. Using Office 365 which is what we have with our license, I have found that Outlook has a number of connection issues which have stopped me from logging in and sending emails. There have been times when it does some unexpected things when I try and use my finger instead of a mouse, although with patches this seems to have been improved. This is a major gripe with Excel, I work with a lot of figures of data and when you write a lot of formulas in Excel, it does this thing where it begins to load the data. You get a loading bar at the bottom in the status bar which seems to take forever to load. If buying you, you will be provided with Office 365 which is used online. You'll need the right license. Make sure you investigate all licenses before handing over any money. It allows us to connect to an Oracle/SQL database using the Microsoft Access and an ODBC connection which uses the SDK installation from Oracle Primavera. "office is the ideal package for me." thanks to this office package, I can write all kinds of documents of my work, I use it very often since it contains many useful applications, for the daily work of offiina, it is very good package, at a good price and is constantly incorporating new applications to the package. Within all the advantages that this application has, it is difficult to find a negative point, since for a long time I have been using these affice packages that each year our one updated version, the only thing that I would have to add at this point, is that I hope to see new improvements in applications like word, excele, publisher that are very basic and essential for office work, but I think that for many years they have remained without any updates or presenting something innovative. I consider it a very complete package that can not be missing from each professional's computer. in my work as an accountant it is clear that this application is very good, and it helps in every document that I have to do, to make the tables without doubt excel is my friendly tool, to present the monthly summaries of the company power point is the best, and so every application is indispensable in the daily work of the office. "the office package is very complete, practical and functional." I use this microsoft tool very often, everything I can achieve is excellent thanks to it, what I like the most are its innumerable applications that make my work easier, with a single purchase and download I use all of them. This package has been quite useful for me, I have spent a lot of time using it in my different jobs, since it is always good to have a package that gives me more than 15 100% useful applications, the only disadvantage I see is that it is only compatible with windows. is the most complete package I know to do office tasks and much more, has many applications that are really useful. This is a good way to carry out different activities of my work as an independent entrepreneur, since starting this new stage in my life has been very profitable to have office and all its applications, publishers to make my business cards, one drive for save all my work as an artisan and each application has been quite useful for me, providing me with great benefits such as increasing my clientele. This is awesome software package provided by Microsoft. You will get PowerPoint, excel, one note, word, outlook etc... all in one package. I mostly use excel, PowerPoint and word mostly. With PowerPoint you can make your own presentation and then you can export that in many supported files like pdf, ptpx. Outlook is great email Clint service you keep you more productive all the time. You can add all your emails and then add calendar remainders and much more. Nothing yet apart from its price factor, but with office 365 you can use their subscription based services for month or for year. Of course highly recommendations for students for businessman for any accounts' person. Helps me to make good presentation. Also, outlook helps us to manage all my emails at once. No need to buy different software from different company while you can choose all from Microsoft office package. This is suitable for all kind of business or students or for accounts. microsoft office I have used it for many years, since I was in school until now that I am a professional, what I like the most is that its office programs are varied, easy to use, and very complete, it is the application that more programs provides, are more than 15 applications in a single package. It has worked well enough for me, I am very pleased, the only thing I see is that it is not compatible with all operating systems, and many times some of the applications sell it the following year but without any noticeable update. It is a very easy to use package that really helps in office work. I work as a secretary and all the office programs are very useful for me, I could not do my work without each one of their applications, from word to document, hata publisher to make calendars, one note, for my notes, one drive to save in the cloud, excel for the monthly tables and so each program is essential for me. "Microsoft Office has been a great ally for many years." Among the things I like about this application, is that it has more than 15 applications, to which I have access with a single purchase, very useful applications to perform any office work easily, also currently has one drive that helps me save all documents in the cloud without compromising the memory of my computer. Office is very useful and practical, but if I have to say something I do not like it, it can only be downloaded from computers that have windows, it is not compatible with other operating systems, and from my point of view I think some applications are obsolete they have not presented any updates in the last four years, such as publisher, power point, excel, I do not get anything new, and it would be great if we presented new formats every year. It is a very reliable application with many years of service. I find it very useful to have this application on my computer, because I am a teacher and I use it very often for every job I do with my students, without excel I could not register the grades, with power point I make the best presentations for my classes, with one note I plan each class taking my daily record, and so each application has been of great help to develop my work fully. I like that it is so easy to use, especially if you are used to using a PC. It also can do things that some online apps cannot do. I use MS Word the most, and then Excel and Powerpoint following that. I also like that in MS Word, you can adjust the margins. In other online apps such as Google docs, it doesn't allow you to adjust margins and inserting tables can be a very big nuissance. MS Word allows you to adjust them and the layout of the page as well. None of the programs in Office save automatically like they do in Google apps (such as docs and sheets). I also dislike that there isn't a program that I am aware of in Office that allows you to create clipart, images, etc. I also wish that there were some easy to follow tutorials on how to use specfic features within some of their programs. If you are used to using a PC, and you are frustrated with other products not saving your docs, then I recommend using this. It allows me to create what I need to and to format it the way that I want. MS Word also has collaborating capabilities. In addition, you can also save things online using One Drive which is really awesome so that you don't have to save it to your hard drive and use that space up. "after using office for many years I have not separated from this application ever."